When checking your Google My Business Insights over the last couple of months, you may have noticed a new field with different information from the rest of the data gathered. In July, Google began populating search queries within Insights to show the terms used to reach your listing in order to help target Posts. The information provided by Google My Business differs from what is provided by Search Console, which can affect how you focus your efforts. There are a few ways to segment this data in order to properly measure your traffic and search terms, which will help as the algorithms continue to evolve. 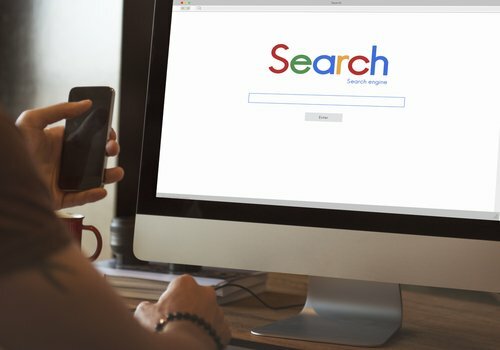 What are the main differences between how Search Console and Google My Business record traffic? Search Console records impressions on your listing and your appearance in search results as two separate entries. For example, if you appear fourth on the list of search results and first in the local Maps box, two impressions will be counted by Search Console. Google My Business, on the other hand, bases its reporting on unique users, not impressions. If your website link does not appear in a result, Google My Business will still record the view. Search Console will not. While an impression is counting in each search appearance, a user can perform the same search several times and only be counted once. One way to distinguish traffic is by implementing UTM codes. A UTM code helps you track exactly where your traffic is coming from. By using one of Google’s URL Builder tools, you’ll be able to create a specific source URL to track your Google My Business traffic against general search appearances, providing you with a clearer picture of how people are viewing your business. You’ll be able to separate referral traffic from organic traffic, making it easier to explain to the rest of your team. How does this affect Local Search? The algorithm differences between Search Console and Google My Business are creating a new way to go about performing keyword research. While you will get a broader view of search terms from the console, you will be able to get a better picture of the users themselves by looking at the queries listed in Business Insights.